Our love for all things Rose gold is still strong in this family. Well, it definitely is with the females of the house. If I’m honest, Mr C couldn’t care less (Apart from the fact, he spent last weekend painting Violet’s bedroom wall a lovely shade of Rose Gold). I have spent the last few weeks gathering accessories to accompany the newly painted room so thought I would share some of these with you. 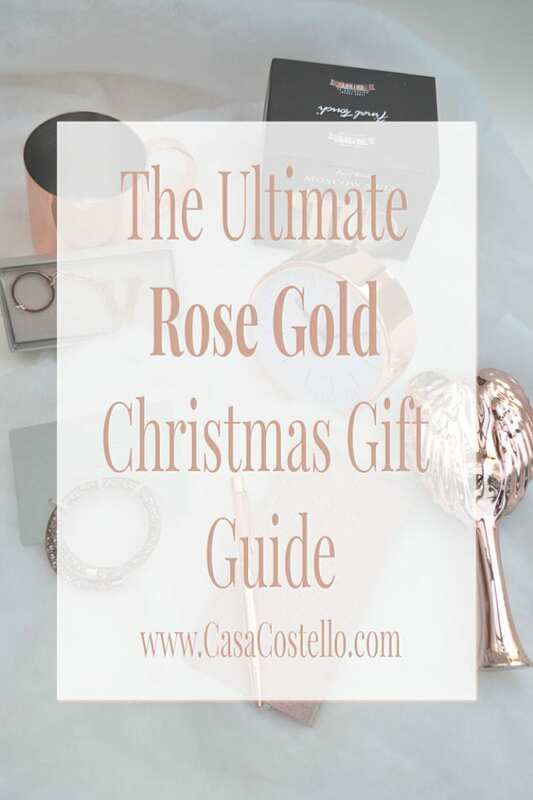 All good ideas to be included as a Christmas Gift Guide for fellow Rose Gold lovers like us! 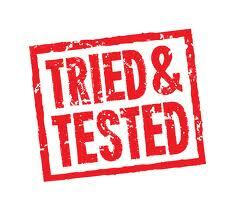 Some of these items have been sent to us by the brand and some we have bought ourselves. I have not included anything that we do not currently have in our house – these are all items we really do love. 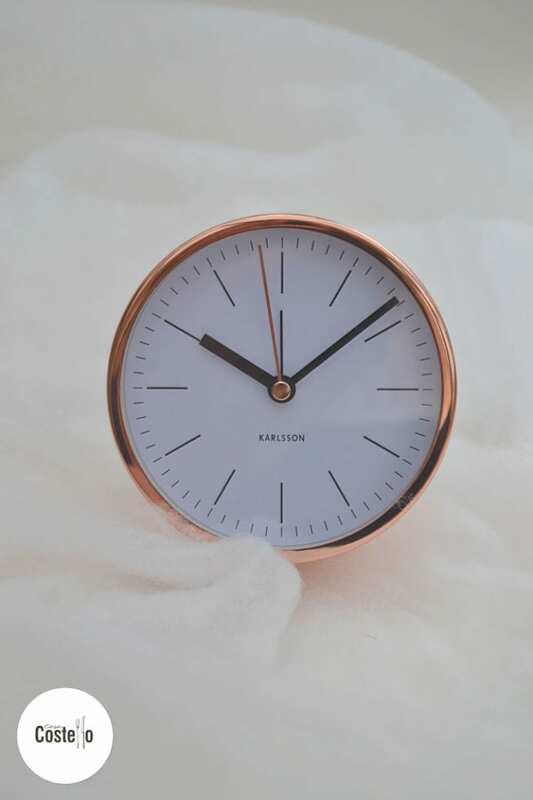 This Karlsson Copper Alarm Clock is lovely and simple – Available in a variety of colours and faces, we opted for the white. The stand is removable so it can be pushed right up close to a surface for extra neatness. The tick is silent too – not that it matters to our Violet who is dead to the world as soon as she hits that pillow! Currently reduced from £16.50 to £14.85. 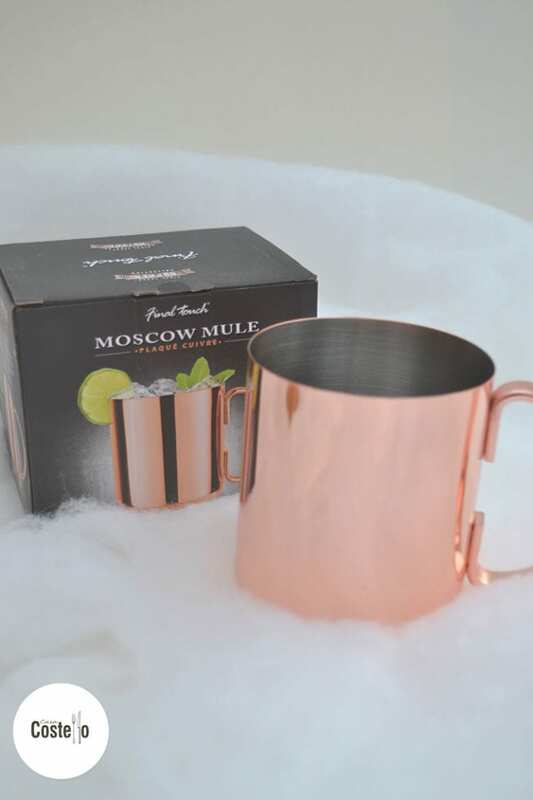 How stylish are these Moscow Mule Mugs also from Red Candy? Not sure Violet will be enjoying a Moscow Mule for the next few Christmasses but her nightly water will look super trendy by her bedside in one of these. Only £17 from Red Candy. 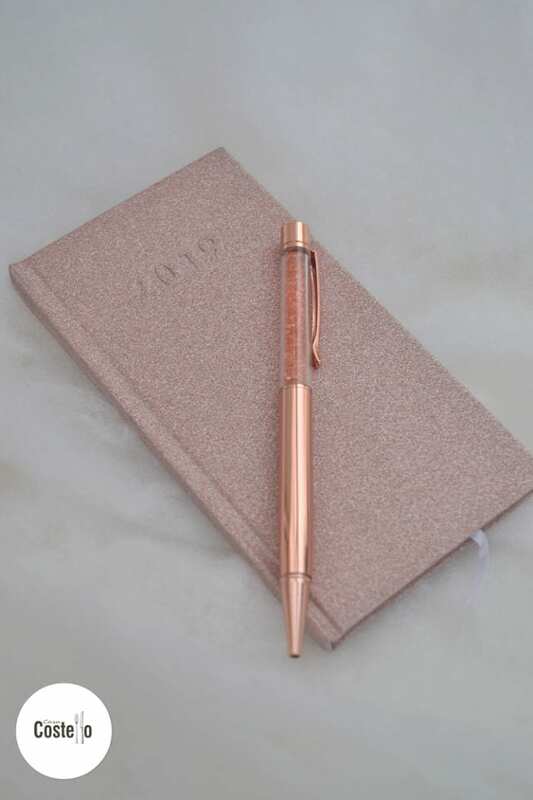 I love this 2019 diary & pen set from Home Bargains for gifts. Both my elder girls have bagged one set each so far so I keep having to go back and get more. They make great teacher gifts and are only around £2.99. The pen writes so smoothly and the pages of the week-to-view diary are surprisingly thick for such a great price. I actually got given one of these lovely bracelets for my birthday and love it so much, I have been out and bought another. Also available in silver at £12.50 from Next. Really comfortable and doesn’t catch on clothes or in your hair. 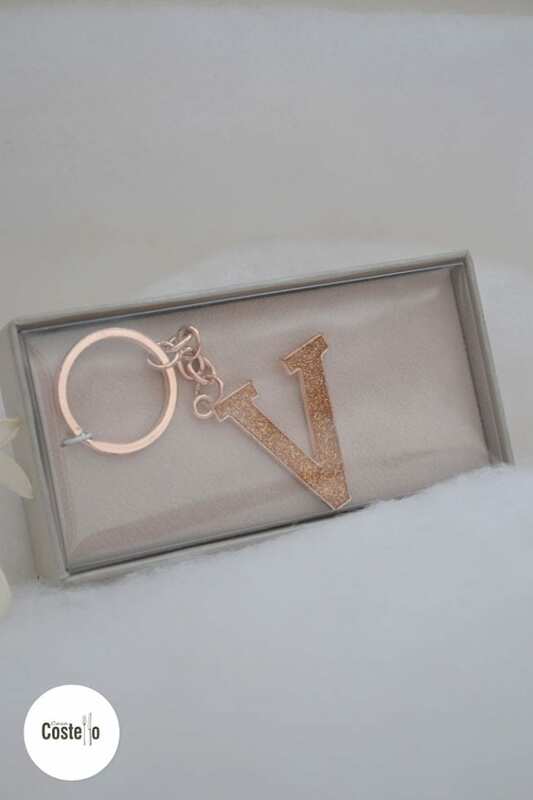 Now there’s no guarantee that you will get every initial but when your name starts with V then you are onto a winner at Home Bargains! (Actually we have managed to drop on and get an M and a T aswell). These keyrings are presented in a lovely presentation box and last very well considering they are £2.99. Very stylish for a school bag! 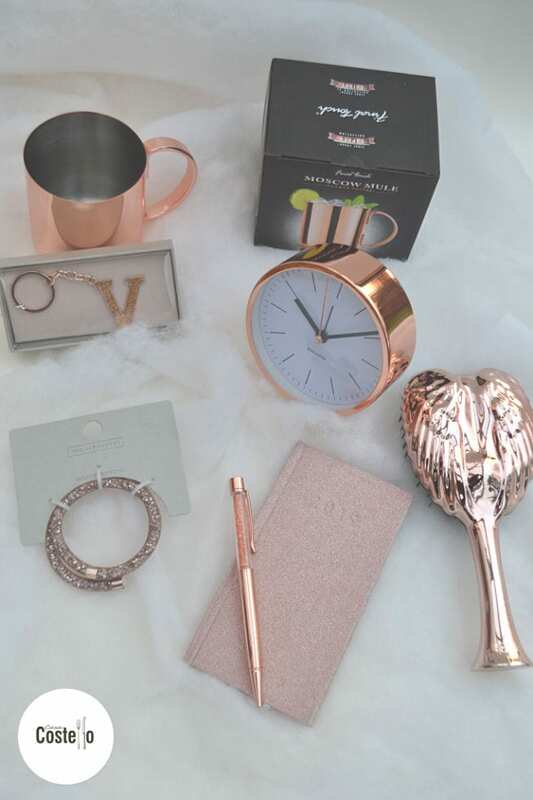 I could go on forever – We are amassing quite a collection of rose gold accessories but I’ll save some for when we do the big bedroom reveal. Do you have a Rose Gold obsession? What are your favourite RG items? 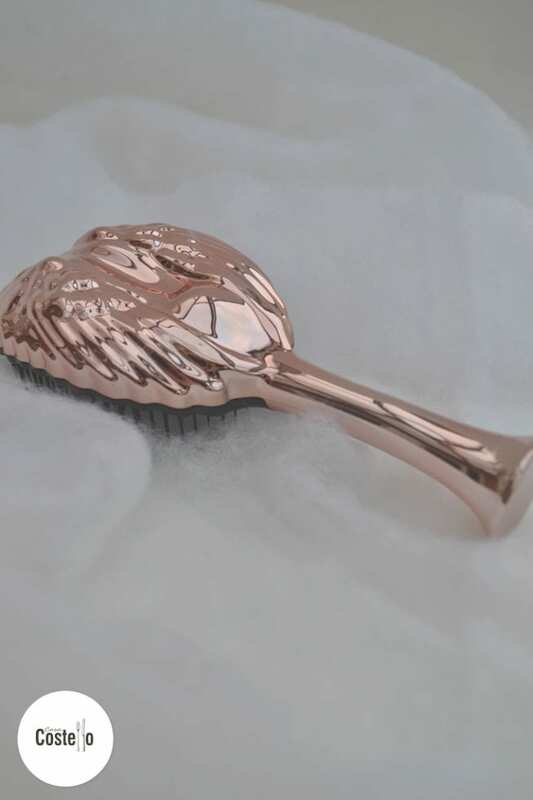 There really is something about rose gold! They are absolutely beautiful looking pieces, I love the hairbrush and the mug myself! I could have those for Christmas for sure! I am still so in love with the rose gold trend! I love the alarm clock, I’m trying to get out of the habit of using my phone as one because it’s such a distraction and I always end up snoozing! I do love a touch of rose gold. It never seems to go out of fashion, does it?! Oh I LOVE rose gold so this is a fab list for me. The mug is GORGEOUS! And my watch is already rose gold, so I have my eye on that bracelet. Rose Gold is one my most favourite colours. I really love the clock and the detangled hair brush. A great selection of ideas and gifts for this Christmas too. I’ve been eyeing on rosegold lately. The 2019 diary would be a perfect gift. Ohh! I want everything! It is all so pretty! 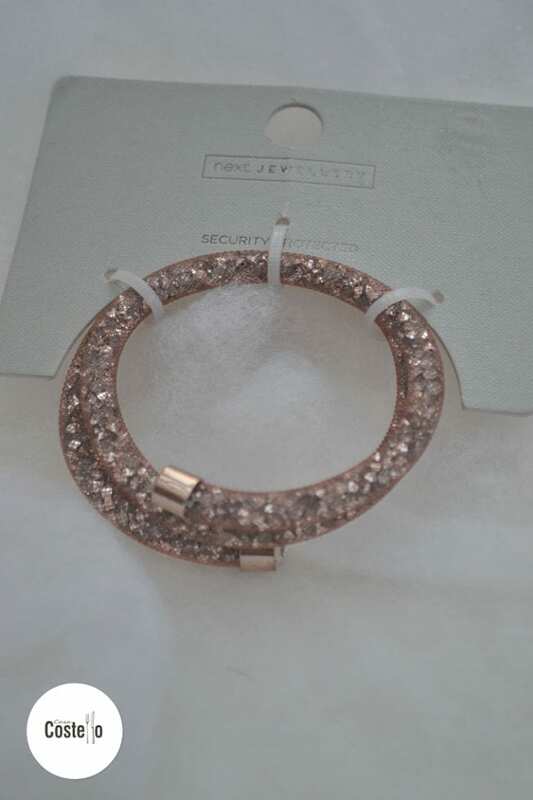 I love the bracelet from Next – may have to treat myself!